Nowadays if you are a working professional in a global company you have to work through all over the world even when you are traveling or you are not present in your office physically. So today it is very important to use a technology with which you can work for your office from everywhere with a great security option while exchanging important data or information among your office network. For that reason, the importance of the VPN is increased globally. The main feature of the VPN is that they allow secure communications between different networks. If you want to connect the devices which you want, first you need to do is authenticate the devices which you want to connect, mostly you can do using passwords for those computers. You may use other mechanisms such as biometric scanners. This is important because at first, you have to ensure that the devices at either end could not hack or intercept data into the network. Some devices such as Roku, cannot be connected directly to a VPN. In such cases, you can use your router to connect your device. The router configuration method makes the working of VPN on Roku possible. At the second step, tunnels are created by VPN across the internet. Through this tunnel, the information can travel out from the source to the destination device. Creating this tunnel, VPN prevents anything unauthorized which can harm the information. The data which is traveling through the tunnel is said to be encrypted packets of data. Those data packets are traveling between the computers treating as known devices. To this end, the packets treated as an inner and outer packet. The job done by the outer packet is that it has to transport the inner packet from the sender’s network to the receiver’s network. If anyone wants to know about the information he only can see the information but not the inner data which is being transported by the outer packet. The actual data is in the inner packet which is being transferred to the destination device without knowing the outsiders of the network. The outer packets are decrypted when their job has done i.e. when they reach the destination network carrying the inner packets and then routed to the correct destination device. The name of the software used by the VPN called ‘tunneling protocol’. It uses a 1024 bit encrypted tunnel along with a dynamic IP address. This tunneling helps to carry a packet of data to one computer to another in a network. There is two types of tunneling. Those are compulsory and voluntary tunneling. There is nothing more difference between the two except a simply step. With the compulsory tunneling the user is able to connect with their internet service provider. Then a connection will be set up between the user and the VPN server with the help of internet service provider. In the case of voluntary tunneling there the connection will be set up by VPN client instead of internet service provider. After that the user itself makes a connection to their internet service provider and then the VPN client application will set up the connection to a VPN server. VPN is the ultimate solution when you want your data remains secure when it is sent over the public network. Did you know that you can run a console emulator on your Android smartphone or tablet? If you’re a veteran of Android and a player, you probably do know it. For recent users, here’s a simple tutorial that will teach you how to install a PSX emulator on your Android device. Installing an emulator in your Android legally needs that you have the console which you are emulating. This means that you must have a PlayStation 1 system to legally run an emulator on your Android device. Owning a PSX console gives you the right to own the BIOS file to run a PSX emulator. Since the legality of emulated games is complicated, we will not show you how to get the games here. This is what you need to know, anyway. Most of the legal arguments for the possession of a digital copy (a ROM or ISO file) of a game you currently own is consistent with the Fair Use Act and the 1992 Home Recording Act, which states that you are authorized to create and own backup copies. means that you own. These laws ruled the national media scene until 2009, when a lawsuit against RealDVD determined that consumers never had the right to create or own backup copies of their DVDs. Are video games subject to the same restrictions as CDs or DVDs? Nobody has decided yet, but it is almost certain that downloading ROM and ISO on the Internet is a violation of federal law. So do not do it. Get your games legally, regardless of what it means. Open Google Play Store in your phone and search for ePSXe. This fantastic emulator for your Android device costs about $ 4. So prepare to pay this amount when you download it and install it. When downloading ePSXe, you can continue with step 2. 7Zipper is like WinZip, but much better. You can check its features and features when you search the Google Play Store. Now you have ePSXe and 7Zipper installed, you can procees further. On opening ePSXe , you will see a menu like this. You will need a BIOS file to run ePSXe. As mentioned above, you only have the right to own a BIOS file if you also have the corresponding video game console. Therefore, if you do not have PSX at this point, stop immediately because you cannot proceed legally. So now you have to find a BIOS file. Since most websites with BIOS files also offer illegal ROMs and ISOs, we will not explain how to do this here. Once you have a BIOS file, go to step 4. Open the 7Zipper application. Click “Download” on the main screen. 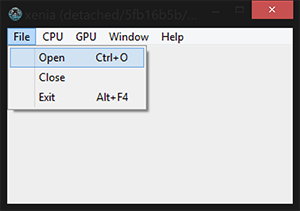 Locate the compressed BIOS file in your folder and click it. If you want to select a folder to separate uncompressed files from downloads, now is the time. Otherwise, just click OK.
Once the BIOS file is extracted, click “Close” and exit 7Zipper. Step 5: Run the BIOS file in ePSXe. Open the emulator inyour Andriod device. Click on “Run BIOS”. EPSXe will start searching for any BIOS file on the SD card. Once the new unzipping is implemented, you will be ready to go to step 6. Step 6: Have fun with your emulator. Now Run you favourite retro game and enjoy the nostalgia. Ok, maybe not. Good luck finding a legal way to transfer your PSX games to mobile devices. Enjoy your childhood memories. If you are new to play the Xbox on PC, then this article is very helpful to you. Playing the Xbox games is a dream for game lovers, but most of them can’t able to buy this expensive thing. Only using emulators its possible to play an Xbox game on your PC. It gives you the same experience with the help of the emulator. Lets take a look through the best Xbox emulator of this time. The Xeon emulator is very easy to use and to get most of the games on your PC. Xeon emulator is the best on the market which can run efficiently. But unfortunately, the team Xeon has stopped the updation of its launch. The PC on which the emulator has to be run should be strongly configured and have a high graphics card. You can easily download the emulator from the link on the internet. There is no lagging of games, support both the Windows and MS-DOS. 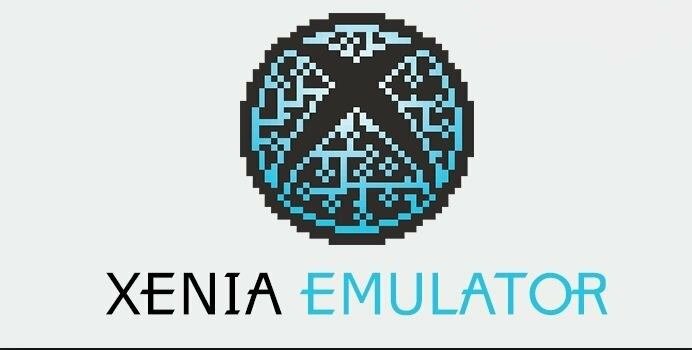 The Xenia emulator works on PC and it is an open source emulator for Windows. This emulator is another great choice for PC gamers to play the games and experience an excellent gaming environment. Xenia is the best simulators of the Xbox. It is very secure and best emulator for PC. This emulator is another option for the PC gamers to play the Xbox games. You can try this emulator if you are not satisfied with the CXBX emulator. DXBX emulator isvery similar toCXBX emulator. This emulator is the advanced version of the CXBX emulator. TO run various games on your PC, the best is to use the DXBX which supports HD quality graphics and clear crystal sound effect. Easy to install, with error-free access and highly compatibility have made it for all. The CXBX is another great one among the other best emulators in the market. The best of this emulator is that the game console supports the video gaming which is having high graphics quality. The great feature of this emulator is that this supports with the modern windows version too. It can be installed easily by anyone. It gives you high performance too and with no lagging quality. The box emulator is another one which is considered the best emulator to play the game on your PC. They have the best graphics which is supported by this emulator to play the game on PC. This emulator is compatible with different games on the PC supported by the Xbox emulator. The disadvantage of this emulator is, unable to support the pirated games and live games are not supported. We have given you too few options of the emulator which has different features. Some of the emulators have a great HD quality of graphics and some are supporting most of the games only. These emulators are having some special features of themselves. To get a best gaming experience you can try them. You can download them easily from the official website and get the valid link from them. If you are having any queries with the download you can share it with us. These days smartphone is been used by everyone and used to chat with friends, family and other. Emojis are the best way to talk to your loved one and friends. It’s easy to express your emotions and feelings using emojis in messages. We list a top popular best emoji apps for all android users. GIPHY is a good sticker and emoji apps for Android and iOS users. It easy to improve your texting life with emoji app for free. This emoji app has more popular and special emojis available. You can easily send them and express your feelings by the message with your friends. It also gives you the option to create your own emojis from this app and send it to your friends. The Elite emoji is free and one of the best emoji apps for Android users. It has sensational emojis and stickers to express emotions with your friends and family. It has a large collection of free minion emojis. You can easily choose and send your favorite sticker to your friends to express your feelings. Keymoji is another good app which has a collection of free emojis. You can easily get the emojis according to your text. You can simply type a word and it shows all emoji related to your text. It is a cut emoji keyboard app for android users. It has the best feature that it doesn’t collect any personal information or the conversations of the user. The SwiftKey keyboard is an amazing keyboard for both Android and iOS users. Artificial Intelligence is been used to learn your writing style. The amazing feature as to auto-suggest you emoji according to your writing which you want to use. It also helps you to auto-correct your text. Bitmoji is good free emoji app for android user. It provides you to make your personalized and unique emoji. You must try this app and get some better unique emoji on your device. You can create expressive cartoon avatar from its library of stickers according to your interest. The special feature for this app is you can search the emoji by name and mark it as your favorite. This is the latest keyboard app developed by Google and owned by it for Android users. This allows you to use GIF, swipe typing, google search and emoji option on your smartphone. The best unique feature of this app allows you to voice to text option so that you can type any text by your voice. These are the best emoji apps for Android. We hope you love it without getting bored text chatting. The best and top rated emoji apps where you can pick your favorite one from the Google play store. You are free to leave your experience in the comment section. Microsoft has launched many different versions of the Xbox. There are lots of amazing Xbox games that game lovers like to play. But not everyone can buy such expensive thing. No one can beat Xbox and Play Station in gaming consoles. You can use Xbox PC emulators to Play Xbox 360 games on your PC. This is the second gaming console in the Xbox series. It gives you the total gaming and entertainment experience. All Xbox games are not available for PC, to get the same experience of Xbox on PC you can use an emulator. The emulator loads the Xbox 360 games on your system. Finding a best working Xbox 360 Emulator for PC can be hard. Here are the tested working methods. 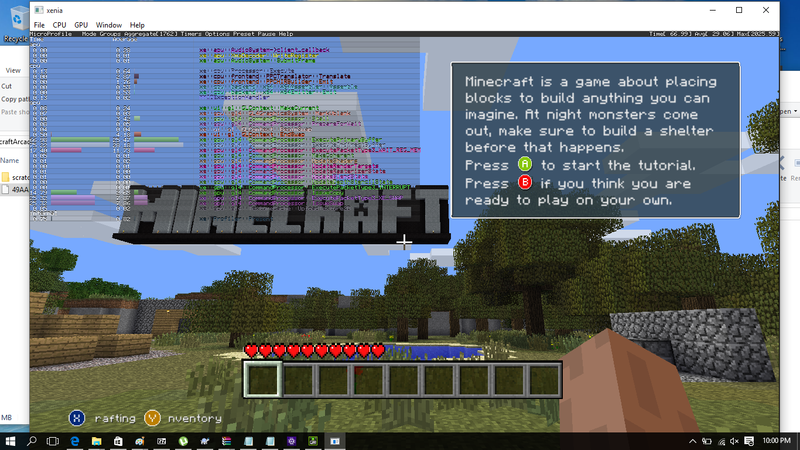 Xenia is a working emulator that allows you to play Xbox games on your PC. No other working emulators are as efficient as this. 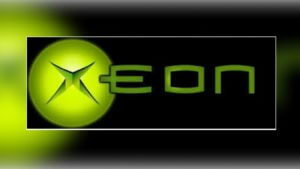 Xenia was the first emulator projected to emulate Xbox 360. Xenia is an open source application available for free. But it is not able to run all the games effectively. Steps to download the emulator are given below. Download the Xenia Xbox emulator on your PC or Laptop. When the downloading is completed, Unzip the file and extract it to a specific folder. Now, Run the emulator, After the extraction of the file. Open the folder and run the Xenia.exe file which navigates you to the Emulator window. Now you have to run the Xbox emulator and load the game to play. You can download the game easily using torrent. To load the games open the emulator and choose file > open. You can browse and select the game file that you want to load. Now you can play the game easily. We hope that you can play Xbox 360 games on your PC. 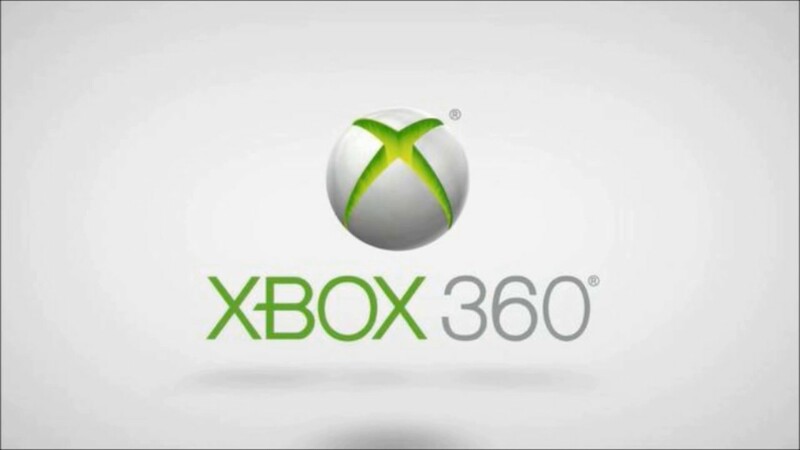 The above mentioned software is the best Xbox 360 emulator that is free and easy to operate. We recommend you to try this emulator for better performance. Let us know in the comment section that which game you have tried so that it helps other user to know those games are supported and can run properly with Xenia .